Bulldog Auto TransportYou Ship. We Deliver. It’s officially summer, which means it’s officially moving season. If your company is preparing to purchase new work trucks or assign trucks to a job site, commercial vehicle transport is an affordable option. Commercial transport is designed to get your vehicle in the hands of your most valuable asset, your employee, as quickly and safely as possible. Every company is unique and every project different. That is why we build a transportation program that will fit your needs. We deliver your vehicle on time, every time due in large part to our vast network of transport partners. All of our partners and have been fully vetted, trained, and certified. According to industry statistics, an average work truck produces $1,500 in revenue per day. That makes for serious losses when new trucks are delayed in the delivery process. Unfortunately, when new units are ordered, up-fitted, and delivered to new car dealers to be picked up by employees, the traditional delivery process makes for serious delays in getting vehicles on the road. Industry experts say leaving pick up to employees takes up to 2-3 hours, and shipping alone can add up to two weeks to the process – a loss of $21,000 per vehicle. We make sure to provide an affordable, accurate quote price to ensure your vehicle reaches its destination safe and on time. 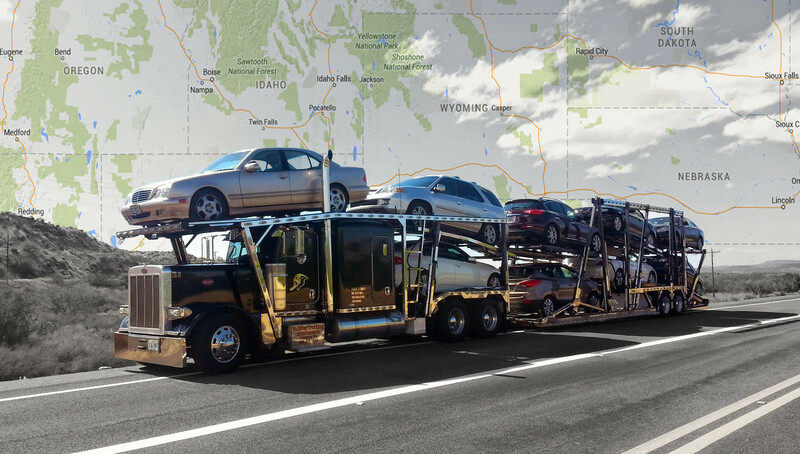 We have partnered with multiple types of carriers that we can load your truck on to move it one state over, or coast to coast. We are fully licensed/insured and bonded. The first step is to receive a FREE custom domestic quote by going here to fill out our online form. You can also call 888-514-4005 ext. 121 or 122 to speak with our nationwide shipping department. Copyright © 2019 Bulldog Auto Transport. Powered by WordPress. Designed by myThem.es.